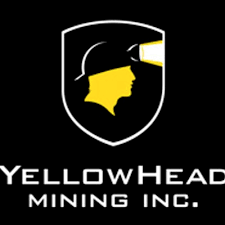 Yellowhead Mining Inc. (TSX-V: YMI), announced that it has entered into an arrangement agreement with Taseko Mines Limited (TSX:TKO) (NYSE AMERICAN:TGB) pursuant to which Taseko will acquire all the issued and outstanding common shares of Yellowhead in consideration for Taseko issuing 1.1484 common shares of Taseko for each Yellowhead Share, by way of a statutory plan of arrangement under the British Columbia Business Corporations Act The price per Yellowhead Share implies an aggregate fully diluted equity value for Yellowhead of approximately $15.1 million. Yellowhead intends to call a special meeting of its shareholders to be held in January 2019 to consider the Arrangement. The purchase price per Yellowhead Shares represents a 150% premium to Yellowhead’s closing share price of $0.40 on December 3, 3018; a 190% premium to the volume weighted average price of Yellowhead’s shares over the last 10 trading days; and a 306% premium to the volume weighted average price of Yellowhead’s shares over the last 30 trading days. Yellowhead’s Board of Directors and a special committee consisting of the independent directors of Yellowhead (the “Special Committee”) have unanimously recommended that shareholders vote in favour of the transaction. Yellowhead is permitted to terminate the Arrangement Agreement in certain circumstances, including to allow the Board of Directors to accept a superior proposal subject to certain conditions, including Taseko’s “right to match” and the payment of a termination fee of $1 million. Completion of the Arrangement is subject to customary closing conditions, including approval of Yellowhead’s shareholders and court approval, and is expected to close in February 2019. The transaction will be implemented by way of the Arrangement under the Business Corporations Act (British Columbia). The implementation of the Arrangement is subject to approval by the shareholders of Yellowhead at a special meeting, which is expected to be held in January 2019. The Arrangement will require the approval at the Special Meeting of 66 2/3% of all votes cast by shareholders of Yellowhead and a majority of all votes cast by the shareholders of Yellowhead after excluding votes of Taseko and any other persons whose votes must be excluded in accordance with Multilateral Instrument 61-101. The Arrangement is also subject to the approval of the British Columbia Supreme Court and certain closing conditions customary for a transaction of this nature. The approval of shareholders of Taseko is not required in connection with the Arrangement. The Arrangement has been reviewed by the Special Committee of Yellowhead and has been unanimously approved by the Board of Directors of Yellowhead following the unanimous recommendation of the Special Committee. The Board of Directors has also unanimously determined that the transaction is fair to its shareholders, and that it is in the best interests of Yellowhead and unanimously recommends that the shareholders of Yellowhead vote in favour of the transaction. The Board of Directors has received a fairness opinion from Evans & Evans, Inc. to the effect that the consideration payable under the Arrangement is fair, from a financial point of view, to the shareholders of Yellowhead. Each of Matco Investments Inc., holding approximately 45.52% of the outstanding Yellowhead Shares, and Greg Hawkins, Chairman of Yellowhead holding approximately 7.21% of the outstanding Yellowhead Shares, have entered into voting agreements with Taseko whereby they have agreed to, among other things, vote their securities in favour of the Arrangement.